— Click on the image to view a full version of the guide. CORNUCOPIA, WI: Proposition 37, a citizen’s initiative on the ballot on November 6 in California, would mandate clear labeling of genetically engineered (GE) ingredients on food packages. It has become a battleground pitting consumer and farmer advocates against multi-billion-dollar agribusiness corporations. Recent polling indicates almost 70% of citizens support informational labeling. And a flood of new contributions to fight the measure has rolled in from the biotechnology industry and food manufacturers, totaling over $23 million, according to the California Secretary of State. This dwarfs the approximately $3 million contributed by proponents of GE labeling. “Consumers might be surprised to find out that brands hiding under ‘natural’ façades are in fact owned by multi-billion-dollar corporations that are contributing bushel baskets of cash to defeating Proposition 37,” says Charlotte Vallaeys, Director of Farm and Food Policy at The Cornucopia Institute. Mandatory labeling of genetically engineered food in California is viewed as a watershed event by many industry observers, as many companies will find it logistically or economically difficult to produce foods with labels identifying GE for California while producing a different product line of foods for the rest of the country. To make it easier for shoppers to identify and support organic brands whose corporate owners support Proposition 37, and avoid buying brands owned by companies that financially contributed to opposing the “Right to Know” campaign, The Cornucopia Institute has developed a guide for consumers. “If the food and biotech industries are so proud of their pervasive genetically manipulated crops, why are they so afraid, and so desperately opposed to labeling it?” asked Arran Stephens, founder of Nature’s Path, North America’s largest certified organic cereal and granola brand with manufacturing plants in the US and Canada. Besides Nature’s Path, those who have contributed in support of Proposition 37 include venerable organic manufacturers such as Dr. Bronner’s, Nutiva and Lundberg rice. These companies are all independently-owned businesses that avoid GMOs and are committed to supporting organic agriculture. “Food companies are required by law to label ‘contains peanuts’ if included in their product. People deserve the same for GMOs. Our customers want to know if any product contains GMOs,” says John Roulac, founder and CEO of Nutiva, an organic food company. 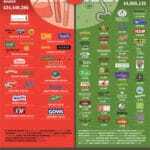 On the other side, joining Monsanto and the giant food lobby group Grocery Manufacturers of America (GMA) in donating money to the effort to defeat the ballot initiative, are multi-billion-dollar, multi-national companies including General Mills, Dean Foods, Kellogg and Pepsico. These companies own brands that are misrepresented to consumers as independent, value-driven businesses. Biotechnology corporations and corporate agribusinesses have collectively donated millions of dollars to defeat Proposition 37. 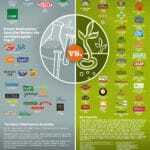 Monsanto alone has donated $4.2 million, while food giants Pepsico and Coca Cola have each donated more than $1 million. “Consumers are increasingly interested in ‘voting with their forks,’ and many want to support companies that share their values,” says Vallaeys. “But consumers may not realize that many organic and ‘natural’ brands are owned by the very same corporations that are spending hundreds of thousands of dollars each, or even millions, in an effort to scuttle Proposition 37 in California,” she adds. For example, Kashi is owned by Kellogg, which has contributed $612,000 to defeating Proposition 37. Last year, The Cornucopia Institute published a study, Cereal Crimes, which revealed that the popular, “natural” Kashi GoLean cereal brand, unbeknownst to its customers, contains genetically engineered ingredients. In what The Cornucopia Institute characterizes as “creating a façade,” nowhere on the Kashi website or packaging is it disclosed that the company is owned by Kellogg, rather than the “small band of passionate people” featured on the Kashi website. Another example is Silk soymilk, which carries the “Non-GMO Project Verified” seal on its products but is owned by the nation’s largest dairy, Dean Foods, which has contributed $253,000 to the effort to kill Prop. 37. Dean Foods also owns the Horizon Organic brand. Both Silk and Horizon profess to consumers that the brands oppose GMOs. The Cornucopia Institute, which developed the funding guide, stresses that the organization is not against corporate involvement in organics. “For example, when Kellogg donates money to the Organic Trade Association, the Kashi brand appears on the OTA website. But when the same company donates to the effort to defeat Proposition 37, Kellogg will do everything in its power to make sure that its Kashi customers, who seek wholesome and natural foods, do not associate the Kashi brand with a corporate contributor to the effort to kill Proposition 37,” adds Kastel. The same is true for the R.W. Knudsen and Santa Cruz Organic brands, owned by Smucker, and the Cascadian Farm, Larabar and Muir Glen brands, owned by General Mills. 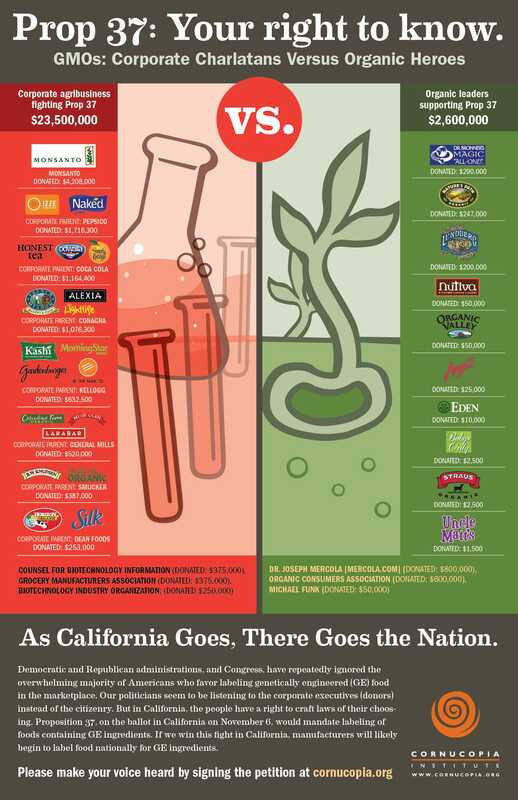 These corporate brand owners have donated $387,000 and $520,000, respectively, to defeating Proposition 37. By using Cornucopia’s Proposition 37 funding guide, consumers can invest their food dollars in organic and non-GMO companies that are truly committed to supporting sustainable agriculture. 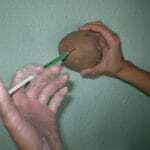 In terms of businesses supporting Proposition 37, Dr. Joseph Mercola, of drmercola.com, has contributed $800,000. The committee supporting Proposition 37 has also raised hundreds of thousands of dollars from individual citizens. The Organic Consumers Association (OCA) has been a key funding and organizing driver of the GMO labeling effort. Many of the seemingly duplicitous companies that are contributing to defeat Proposition 37 are also some of the largest member-donors to the Organic Trade Association (OTA), the trade-lobby group for the organic industry. The OTA has long been criticized by public interest groups for its efforts to weaken the organic law and standards. On the Board of Directors of the Organic Trade Association sit Julia Sabin (Smucker) and Kelly Shea (Dean Foods), both working for corporations that have contributed to the committee opposing Proposition 37. 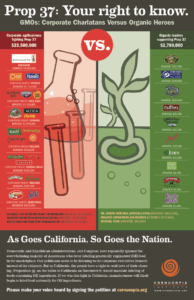 Survey Shows Strong Voter Support for Labeling GMO Foods in California.